(Sir) Nicholas Alexander Faldo was born on the 18th July 1957, in Welwyn Garden City, Hertfordshire, England, and is a professional golfer, most famous for winning three Open Championships and three Masters titles. Nick Faldo’s net worth as of early 2016 is reported by sources to be over $60 million, gained mostly from his decades of playing professional golf, various endorsements and his career as a golf analyst on TV. Growing up in Welwyn Garden City, Faldo was an only child, encouraged by his parents, George Arthur and Joyce, to try any sport. He participated in different sporting events while attending Sir Frederic Osborne School in his hometown, but found his calling while watching television. Faldo’s enthusiasm for golf started when he saw Jack Nicklaus playing in the Masters tournament when he was 13. His parents provided him with golf lessons, and at 16 he asked his parents to quit school to focus on practicing golf. His parents obliged, and by 1975 he had already won two amateur championships. In 1976, Faldo was invited to study at and play for the University of Houston under a golf scholarship. However, after ten weeks he decided that school was too much of a distraction from playing golf, so he quit university and became a professional golfer, joining the European Professional Golfers Association. Faldo won his first tournament in 1977, and although playing through the 80’s had yet to win any major competition. Under the supervision of his coach, David Leadbetter, Faldo changed his swing and in 1987, after much practice, he achieved his first major competition victory, the British Open. In 1989 he won his first Masters and again in 1990 his net worth was rising. Aside from the British Open and the Masters, the other major tournaments that Faldo has competed in include the French Open, Irish Open, Spanish Open, the European PGA, the British Masters, the European Open, the Johnnie Walker Classic, the US Masters, PGA and Open, and the Volvo Masters to name a few, bringing him more recognition and increasing his net worth. By the 1990s, Faldo had spent a total of 97 weeks at the top of the Official World Golf Rankings, during which period he won three Master tournaments in 1989, 1990 and 1996 and three British Opens in 1987, 1990 and 1992. All in all, Faldo has had 40 professional wins in his career during a career spanning over 25 years, steadily increasing his net worth. In 2004, Faldo took a different career path, and joined Paul Azinger and Mike Tirico to become a broadcaster for ABC Sports. In 2006, Faldo signed a contract with CBS to be their new lead golf analyst. Of course these positions helped his net worth too. Faldo continued his passion for the sport and maintained his net worth by starting his own golf course design company “Faldo Design”, designing and often reconstructing golf courses in various parts of the globe. Faldo also started to participate in philanthropic works when he launched the “Faldo Series” in 1996. The charity provides training for young golfers, giving them opportunities to learn and later on compete with each other. 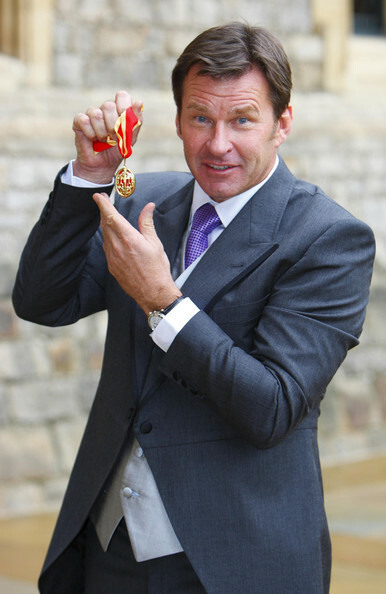 In his personal life, Faldo has been married three times and has four children. His first wife, Melanie Rockall, whom he met when he was 21, married him in 1979 but filed for divorce after a couple of years, upon discovering that Faldo was having an affair. He married his second wife, Gill Bennett, in 1986. They had three children together, but in 1996 divorced because of Faldo’s relationship with another woman. In 2001, Faldo married his third wife Valerie Bercher. The two had a child together before filing for divorce in 2006. 2 He was awarded the Knight Bachelor of the Order of the British Empire in the 2009 Queen's Birthday Honours List for his services to Golf. 3 He was awarded the M.B.E. (Member of the Order of the British Empire) in 1998 for his services to golfing. 4 He was voted BBC Sports Personality of 1989. 5 Professional golfer. Inducted into the World Golf Hall of Fame in 1998. 6 1989, 1990, 1996, Masters Champion; 1987, 1990, 1992 British Open Champion. 7 He and his former caddie married their respective spouses on the same day.